PC Matic or PC Matic Pro -- Which Solution is Best for You? PC Matic or PC Matic Pro — Which Solution is Best for You? Often times, we get questions from potential consumers asking which security solution would best meet their needs, PC Matic or PC Matic Pro. To address this, we created the table below which provides the different features in each solution. Additional information regarding each feature is included below. 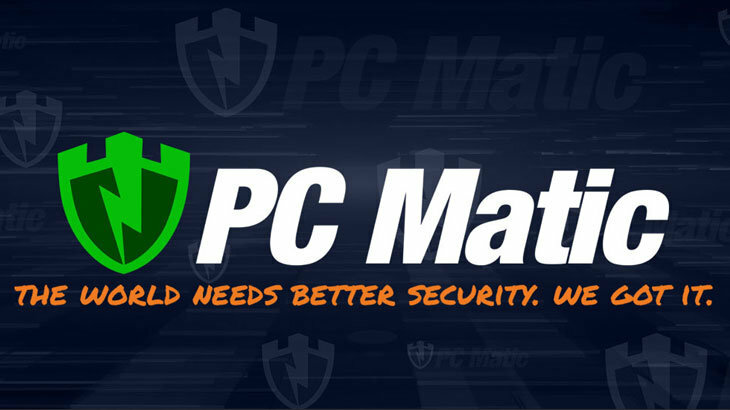 Unlike other security solutions, PC Matic and PC Matic Pro function with application whitelisting as its primary method of malware detection. The whitelist that is used for both solutions is a global whitelist, meaning once a program is tested and deemed safe, it will be available for all subscribers. Our application whitelist methodology has been in use since 2011, and provides advanced, real-time protection against modern cyber security threats — including ransomware. Often times malware worms its way into PCs by exploiting unpatched software vulnerabilities. We know this all too well, yet often times PC users still click the “Update Later” button, or close out of the alert all together. PC Matic and PC Matic Pro will take care of your patch management needs for 30 of the most popular software programs. As a part of each security scan, the security solution will conduct a vulnerability scan of your software. The security programs confirm these 30 software programs are running on the most updated version. If not, it will update the program for you. These programs include various Adobe programs, iTunes, and Safari to name a few. PC Matic Pro offers additional features beyond PC Matic. The cloud scheduler feature offers IT admins to schedule security scans and automate PC optimization features. This is offered through the cloud interface, which also provides remote access allowing for adjustments to be “on-the-go”. Within the interface, IT admins are able to see maintenance reports, generated after each scan. Server support with active directory services. PC Matic Blog, PC Matic Pro - Channel, The Pit Blog pc matic, pc matic pro. permalink. Please submit a helpdesk ticket at http://www.pcmatic.com/help. Our technicians will be able to determine what the issue is and resolve it promptly. Thank you! I bought your product. How do I install it on multiple devices?